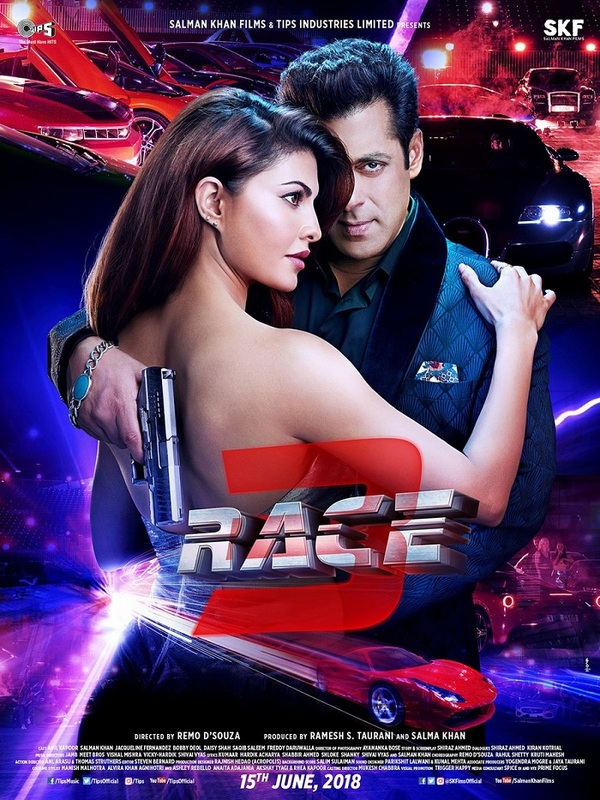 Here is presenting first look movie poster of Race 3 featuring Salman Khan, Jacqueline Fernandez. Race 3 is scheduled for release on Eid 2018 and currently film shooting is going on in Kashmir. Race 3 is one of the most awaited film of 2018 and we expect the theatrical trailer to be released in few days time from here on. Currently a song shooting is happening in Ladakh region featuring Salman and Jacqueline. Apart from these two film also stars Bobby Deol, Anil Kapoor, Saqib Saleem and Daisy Shah in lead roles. True. Salman is our Avengers. I wish small actors like Akshay take note from sallu and stop starring in movies like padman, toilet etc. These small minded stars are ruining our industry. Aamir is too small to be charming star and srk is too ugly. Hence only Salman is real superstar. @Madhav subedi you hypocrite when did your tiny dwarf Salman become tall??? He is dwarf don't forget to be charming. Aamir is far more handsome and charming than ugly Salman.. Aamir is our avenger not this cartoon Salman. Stay within your limit. Flop movie's flop poster same as first race. No creativity. Soon Salman will fade away. And Salman will never become big superstar like aamir. @Madhav subedi you hypocrite when did your tiny dwarf Salman become tall??? He is dwarf don't forget to be charming. Aamir is far more handsome and charming than ugly Salman.. Aamir is our avenger not this cartoon Salman. Stay within your limit. Flop movie's flop poster same as first race. No creativity. Soon Salman will fade away. And Salman will never become big superstar like aamir. Only Aamir is real superstar. All the idiot riksha waala gawaar people with no brain are waiting for this crap movie. We the billions of fans of global Megastar aamir khan are waiting for thugs of hindostan which is the biggest movie of 2018. It will kick race 3 apart. Useless discussion.. both salman and amir are superstar. Each one is good in its own style.They are good friends. So stop talking rubbish. Salman is Salman Amir is Amir.